290XL037 TIMING BELT with 145 Teeth. 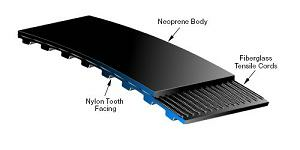 29" Pitch Length (0.200" Pitch) 3/8"" Wide. Home > Timing Belts MXL-XL-L-H... > XL Timing Belts. 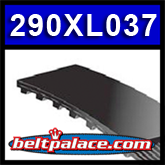 Trapezoidal Tooth Gear belts - 0.200" Pitch > 290XL037 TIMING BELT. XL SERIES TIMING BELT with 145 Teeth. 29" Length. Replaces Timing Belt A22104. 290XL037 TIMING BELT. XL SERIES TIMING BELT with 145 Teeth. 29" Length. Replaces Timing Belt A22104. 290XL037 TIMING BELT. XL SERIES TIMING BELT with 145 Teeth. 29" Pitch Length (0.200" Pitch) 3/8"" Wide.